Below is a list of equipment that I would highly recommend having at a wedding. Some of this equipment you may already have. If you don’t, you will need to rent it for the big day. Look at part one of this series for tips and advice on renting equipment online for a wedding. When choosing lenses to rent/purchase, get the fastest lenses you can. • A digital SLR camera body – You should already have one of these that you’re very familiar with. Renting (or borrowing) a second body is always a good idea, since you may need access to multiple lenses very quickly. This is not an absolute necessity, but it you have an extra $50-80, renting another body can be very helpful. • A wide-angle lens – You’ll want to have a wide-angle lens, such as a 10-20mm or 12-24 mm lens to take in the whole event. The rice throwing/bubble blowing immediately after the ceremony is a prime example of when it’d be a good time to use this lens. Also, if the wedding party is large, you’ll need this lens to take in the whole table at the reception. If it is a large wedding, the newlyweds will probably want some shots that show all of the reception tables, kind of like a “fly on the wall” shot. • A medium telephoto lens – A lens such as a 24-105mm will serve as the main lens that you use on one of your camera bodies. It is a flexible lens that will allow you to shoot up close or at a distance (to a certain extent). This is a must have! • A telephoto lens – I usually get the 70-200 f/2.8, which seems to be long enough for me. 200mm will give you some space from your subject so you can catch them in their candid poses and behavior. These can turn out to be some of the best shots. • An external flash unit – If you don’t already have a flash unit, this is something you may want to purchase, especially if you are planning on doing weddings on a semi-regular basis. For Canon, don’t get below the Speedlite 430ex. That’s what I use, and it is a great flash. The Speedlite 580ex is better, but very expensive – way out of my budget! If you do rent this, make sure you get it at least a week in advance so you have time to practice with it. I can’t imagine a more serious problem than shooting your first wedding without knowing how to use your flash (except for having your camera die during the ceremony – that would be more serious). 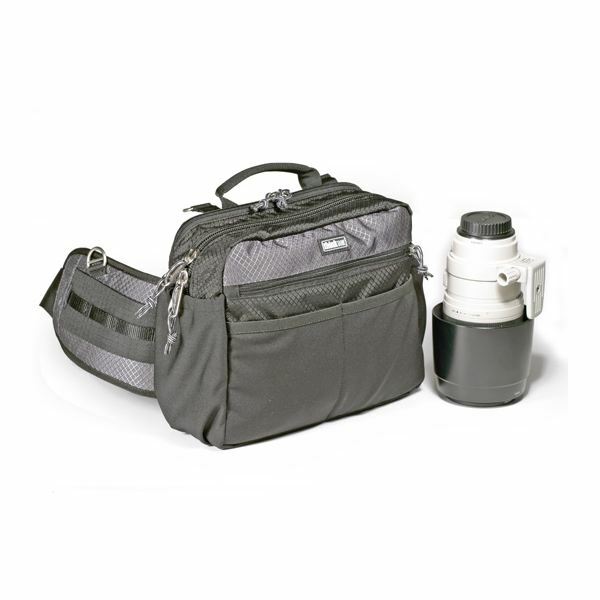 • A Camera bag – The camera bag you already have may work, but you want to make sure that you can get in and out of it quickly. It needs to be able to hold at least 3 lenses, an extra body, a flash, and some other small accessories. The above bag, the Think Tank Photo "Change Up" provides easy access and flexibility. • Plenty of memory cards – You will want at least between 10-15 GB of free memory. I recommend not using cards that hold more than 4 GB. I’ve read that the 8 GB and larger cards can sometimes be unstable. Even if they’ve fixed those issues, I don’t want to be the one to find out otherwise – especially at a wedding! • Batteries – You will need batteries for your camera bodies. I usually take between 3-4 batteries per camera body, just to be on the safe side. Don’t forget that you will also need AA batteries for your flash unit. I would highly recommend using rechargeable NiMH batteries for the flash, as it will prevent you from having to swap out alkaline batteries every 20 minutes. • On-site backup device – Having a portable backup storage device is always a good idea. These can usually be rented as well. Basically, you insert your SD/CF card into the device, and your pictures are copied over and saved on the drive. You still want to keep the pictures on the memory card and store it safe. This is just an insurance method against the worst of wedding situations – data loss. • Tripod – You will need a tripod for the formals and some of the low-light casual shots. One of the most important tips I can give you as an amateur photographer shooting your first wedding is to know your equipment inside and out. Get familiar with every feature of your camera and practice a myriad of shots that could be similar to that of the wedding. Also, you need to practice using your flash. You will be using your flash all day (even outside in the sun sometimes), so you need to know how to use it. If you’re messing around with settings, you’ll miss the shot. Some of those shots you will have only one opportunity to capture, so you need to be focused on the wedding – not your equipment. Check out the next section of this series to take a look at what kinds of shots to take on the wedding day.